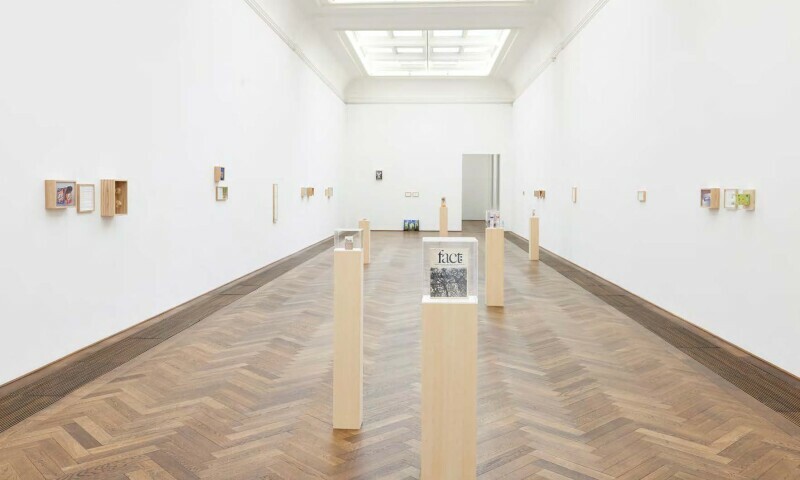 Installation view of Maryam Jafri: Product Recall: An Index of Innovation, Kunsthalle Basel, Switzerland, 2015. Maryam Jafri (b. 1972)‘s work is informed by a research-based, interdisciplinary process, often marked by a series of experiments at the crossroads of cultural anthropology and conceptual art. This exhibition presents Jafri’s Product Recall: An Index of Innovation (2014–15) which combines framed texts, “still life” product photography, and samples of unsuccessful food products from the late 1960’s to the recent past. This exhibition marks Jafri’s first solo institutional presentation in the United States.